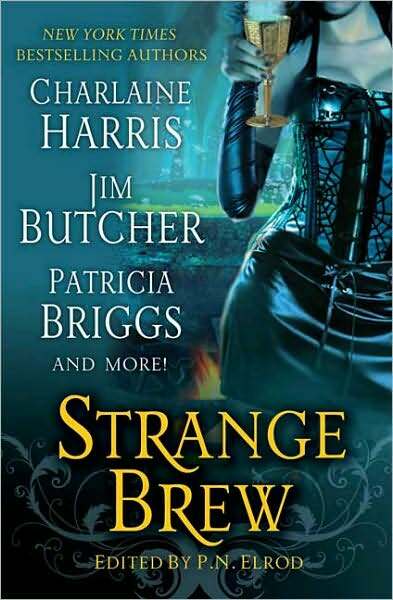 This anthology contains the story "Bacon" by Charlaine Harris. A witch says the only sorcerer who’s gone public is in Chicago, and she hears that he’s struggling. 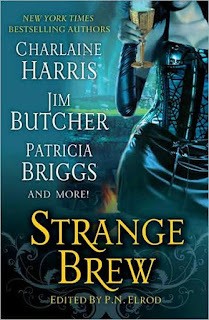 This is a reference to Harry Dresden from the Dresden Files series by Jim Butcher. “Bacon” is set in the continuity of Harris’ Southern Vampire Mysteries series, which depicts vampires and other supernatural beings living openly alongside humans, and therefore takes place in an alternate reality to the CU. It is worth noting another of Harris’ series characters, Lily Bard, turns up in two of the Southern Vampire Mysteries novels, Definitely Dead and Dead Reckoning. Harris’ Midnight, Texas series features Bobo Winthrop from the Lily Bard series, Manfred Bernardo from the Harper Connelly books, and Sheriff Arthur Smith from the Aurora Teagarden series.